Amazon have announced a Black Friday week sale on all of their tablets that will last through Black Friday, November 23. But what’s new this year though is that not all the Fire tablet deals will be live at the same time. Instead, Amazon will rotate which Fire tablets that will be on sale at any given moment. It’s also possible that all their tablets will be on sale at the same time on Black Friday though if history is any guidance, but we can’t tell for sure how Amazon has built it’s strategy around Black Friday and the coming Cyber Monday week in 2018. 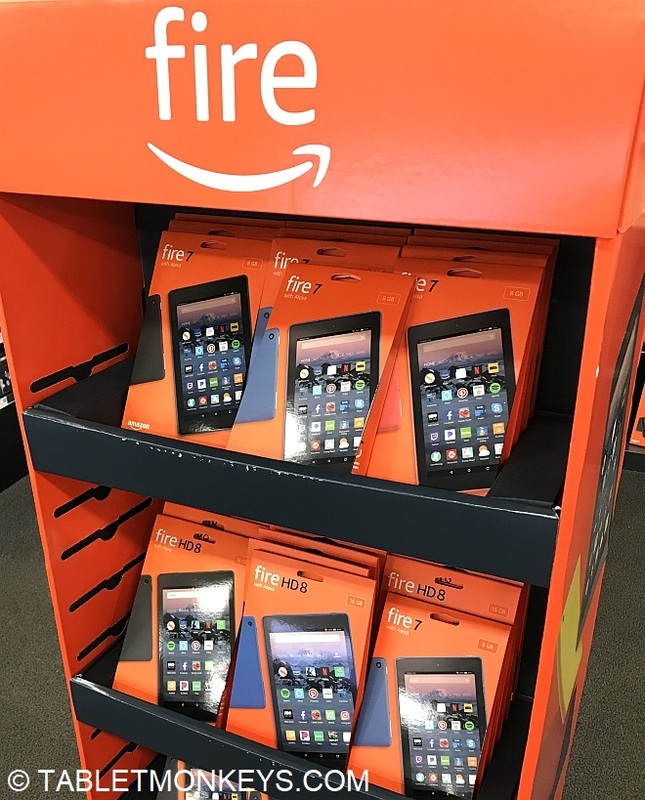 The official Black Friday week sales prices on Amazon’s tablets are $29 for the Fire 7, $49 for the Fire HD 8, $99 for the Fire HD 10, $69 for the Fire 7 Kids Edition, $89 for the Fire HD 8 Kids Edition, $144 for te Fire HD 10 with Show Mode Charging Dock, and $114 for the Fire HD 8 with a Amazon Cover and 2-year protection plan. As you would expect, Amazon also has Black Friday week sales on their other in-house technologies, like the Echo, Echo Dot, Echo Plus, and even the Smart Plugs for $5 a piece.